A team at Royal Brompton Hospital and Imperial College London have been given a three year grant of just over £106,000 by the national charity to research the new MRI techniques, which will be tested in a group of healthy volunteers and compared to existing techniques before applying them to the hearts of patients who have had a myocardial infarction (MI). 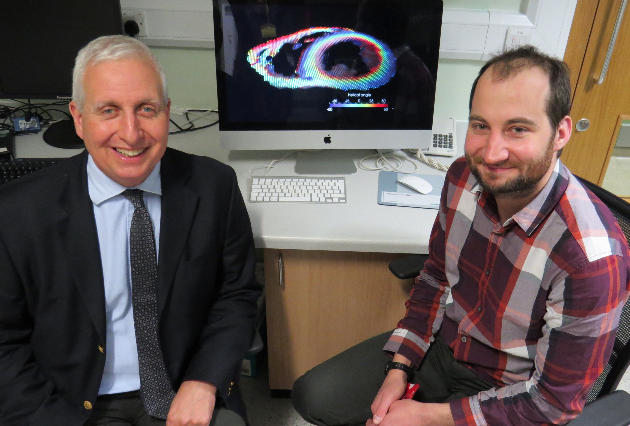 They could be particularly useful in cases where the heart muscle has thinned after an MI, and the team, led by Professor David Firmin and Dr Andrew Scott, will look to improve the detail of these images so the damage to the muscle can be more accurately assessed, and the best treatments applied. “We’re now combining techniques like those that are used for the brain with a spiral MRI technique that allows us to collect more detailed images while the heart beats. This will give us more information on the heart muscle structure, particularly where there is thinned heart muscle as a result of disease,” Dr Scott added. As well as new insights into the way diseases affect the heart, it is hoped that using these new MRI techniques will also provide earlier diagnosis of some conditions and be used to monitor the response of the heart muscle to treatment. “Our aim at Heart Research UK is to fund research that benefits patients as soon as possible. This latest grant brings the amount we have funded on research projects in London to £2.6m over the past 10 years. What people raise locally is spent on projects near you,” she added.